The PGA tour organizes many of the big golfing events, golfing tours and tournaments in the country. On this website we have collected a lot of interesting information about the PGA and playing on the many PGA courses in Canada. Golf is a great sport that requires a lot of training, and choosing which course to play on can sometimes be overwhelming. Canada is home of some of the top golf courses in the world, and anyone who loves golfing has a lot of options to choose from. On this webpage we will guide you through the many different PGA golf course in Canada. Here is a short overview of the information you can find on this webpage. Read more about the top spots for golfers in Canada. No matter if right next to the ocean, around a lake or in the middle of the city, Canada has it all. We found the top five golf courses, and some interesting facts about them; read more about it in our article. The professionals and regular golf players will definitely know about the dress code at a golf course, but the beginners might only be guessing that you cannot just dress randomly. Therefore, we summarise the most important facts about the dress code for professional golf courses. Make sure you read it, before heading to the golf course for the first time. While regular golfers already have a dress code, the regulations for professionals are different. They have to stick to specific guidelines, when attending golf events, and participating in them. This article shows those rules and is very interesting to read, for everyone who wants to find out more about the whole society of golfers. A golf course does not only offer golf, as there are way more things to do. Most of the time, you can expect excellent restaurants and bars, which are right next to the course. Additionally, some golf courses have food stalls with different cuisines, or also some games you can play once you are done with golfing. 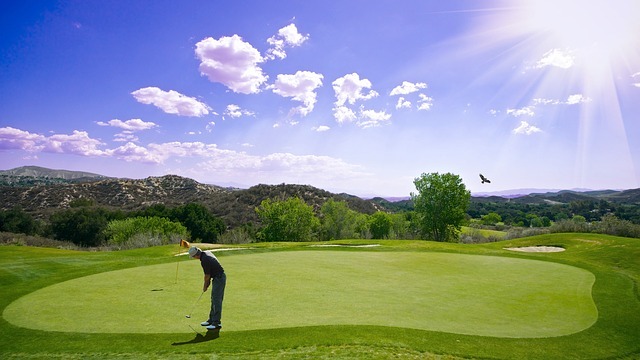 Find out more about different fun activities you can do on a golf course by reading our article.